Shallow Obsessions About Fashion: Love these sandals with bling! Love these sandals with bling! 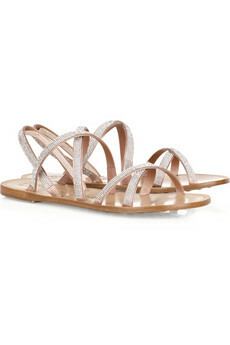 These crystal-embellished Pedro Garcia sandals would totally be mine.. if only they did not cost $690! Exclusively at Net-a-Porter if you are so lucky.. consider me jealous! I have to wait for them to go on sale.. are you listening NAP-gods? We need to see this!